An English teaching job in Seoul is an opportunity to experience all one of the largest cities in the world has to offer. Reach To Teach is proud to represent a number of excellent and well respected schools, both public and private, in the Seoul metropolitan area. If you are genuinely interested in being a teacher and excited about living abroad we welcome you to submit an application to teach English in Seoul! Imagine living in a new and vibrant city where each day will present you with a wealth of potential new experiences. Including the surrounding suburbs, the metropolitan population of Seoul expands to an astonishing 23 million people, making it one of the largest cities in the world. 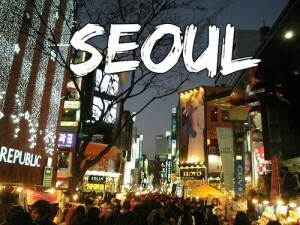 As an English teacher in Seoul you will have every opportunity to explore all Seoul has to offer. Without a doubt, teaching English in Seoul will expose you to some truly unique experiences! In addition to being the national capital, Seoul is also the cultural, economic and political center of South Korea. Whether it is the latest music or a new political scandal, if something is happening in Seoul you can be sure that all of Korea, and Asia for that matter, is paying close attention. It is no surprise that English teaching jobs in South Korea are highly sought after and competitive. 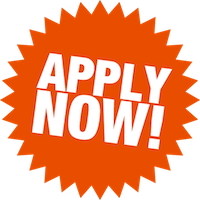 Every new job opportunity receives multiple applications from highly qualified applicants. 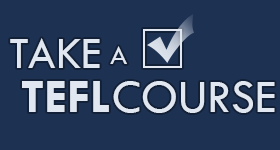 It’s important to take care in preparing your application to teach English in Seoul. Be yourself and let your enthusiasm and charisma shine through in your application! The Seoul metropolitan area is home to 23 million people. It currently ranks as the 8th largest city in the world. The city limits of Seoul are confined with 605 sq. kilometers, also making it one of the most densely populated cities in the world. Seoul was host to the 1988 Summer Olympics and 2002 FIFA World Cup. Home to the 3rd largest public transportation system in the world. Responsible for a large output of Korean pop culture that is also popular throughout much of Asia. As an English teacher in Seoul you can expect to find an abundance of Korean and international food at your finger tips. Korean food is known as being quite spicy, with the staple foods being kimchi (a spicy cabbage dish) and rice. While we are positive you will quickly come to appreciate just how delicious Korean food is, Seoul is an international city home to a large number of culinary delights from nearby Japan and China, as well as Italian, Indian, Mexican, and American food! Public transportation in Seoul is an incredibly large and world-class system. Everyday millions of passengers use buses and trains to get to and from work and around the city. Typically as an English teacher in Seoul your apartment will be located within walking distance of your school (or at most within a reasonable commute), but it is still nice to have such a vast and efficient system available to you on the weekends as you start to explore the rest of Seoul and Korea. Generally speaking, owning and operating a car in Seoul is prohibitively expensive for English teachers during there first year. However, should you decide to extend your contract for a second year, owning a car or motorcycle can be a great way to access the rest of the country. Because of all the great amenities available in Seoul, and the fact that so many people live in such a small area, the cost of living in Seoul is typically higher than in other parts of Korea. However, most people who teach English in Seoul manage to save a substantial amount of money over the course of their contract. 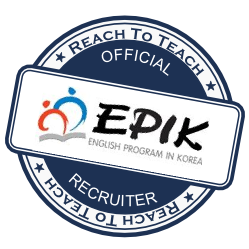 It is no wonder than an English teaching job in Seoul is considered to be one of the best opportunities to teach English in Asia! Reach To Teach has a great community of English teachers in Seoul. If you feel overwhelmed by the thought of moving halfway across the world, you are not alone. With new teachers arriving each month there will be many opportunities to meet new and interesting people. We have many regular events that include happy hours, hike events, dinner parties, paintball and even white water rafting! All of us at Reach To Teach have all taught English abroad. We understand the anxiety that comes with considering a move halfway across the world. With that in mind, remember that all questions are good questions! We want you to feel as comfortable as possible with your decision. 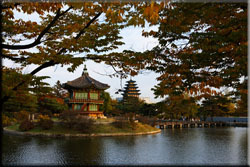 Leaving your home country to teach English in Seoul is an exciting and adventurous choice. It’s important to be sure you have as much information as possible so you can concentrate on enjoying your year (or more!) teaching English in Seoul.